Dollar General Corp. (NYSE: DG) reported fourth-quarter results Thursday that disappointed investors, and the dollar store chain's 2019 guidance implies heavier investments than previously expected. Nevertheless, two Street analysts continue recommending investors be buyers of shares of one of the largest discount retailers in the U.S.
Raymond James' Dan Wewer maintains a Strong Buy rating on Dollar General with an unchanged $127 price target. KeyBanc Capital Markets' Bradley Thomas maintains at Overweight, unchanged $125 price target. Dollar General showed 4-percent same-store sales growth in the fourth quarter, more than twice the 1.4 percent rival Family Dollar showed within Dollar Tree, Inc. (NASDAQ: DLTR)'s earnings report, Wewer said in a Thursday note. Dollar General's superior same-store sales profile stems from its real estate and footprint growth, as the company added 900 new stores, remodeled 1,050 stores and relocated 115 others, the analyst said. The maturation of these projects added nearly 2 percent to same-store sales growth, he said. Promotional activity contributed to disappointing gross margin performance in the fourth quarter, but Dollar General said it generated "sticky relationships" that are likely to result in market share gains, Wewer said. The company should be able to gain market share in fiscal 2019 without the need to be aggressive in promotional activity, he said. The retailer said it will continue investing in a fresh and frozen offering and improve labor productivity in stores and warehouses, the analyst said. These initiatives will likely negatively impact profit in fiscal 2019, but become accretive in fiscal 2020, he said. Related Link: How Should Investors Play Dollar Tree After The Q3 Report? Dollar General's earnings report showed an increase in average transaction size and traffic, Thomas said in a Thursday note. Overall sales rose 8.5 percent from last year, but the operating margin fell 57 basis points to 9.6 percent and missed expectations of 10 percent, the analyst said. 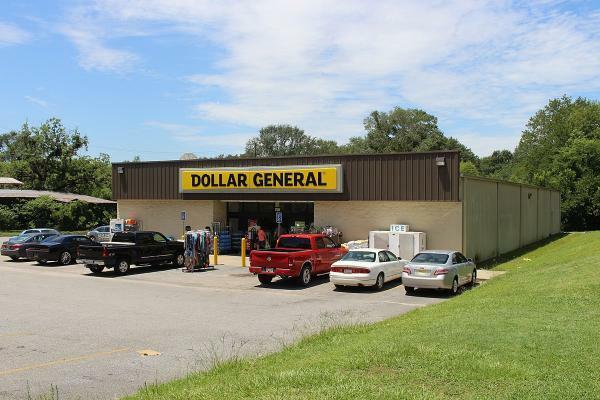 Despite a mixed fourth-quarter report and disappointing fiscal 2019 guidance, Dollar General remains one of the few retailers that offer convenience and value, Thomas said. The company's investments in the future should put it in a position where it can drive revenue and EPS growth for the long-term, he said. The company's track record also speaks for itself, including 29 consecutive quarters of positive same-store sales, according to KeyBanc. Dollar General shares were up 2.37 percent at $114.21 at the time of publication Friday. Related Link: Is Dollar Tree A Bargain Stock After Q4 Earnings?